An absolute beast of a bike, it really does look the part, but not only that - it delivers on all fronts too! 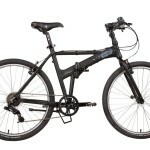 This folding mountain bike is more than capable of delivering exceptional performance both on and off the road. 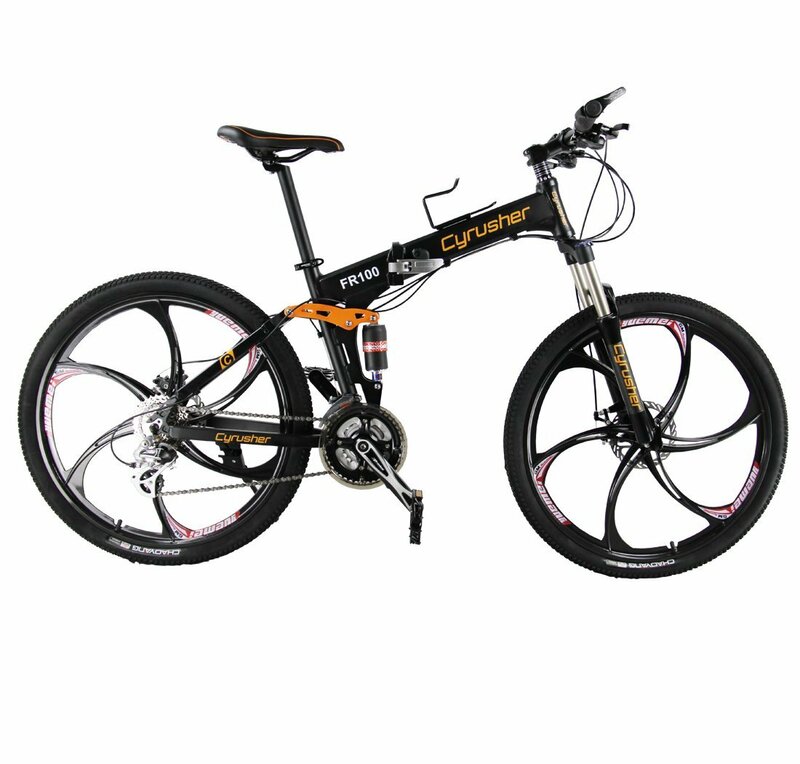 As far as folding mountain bikes go, the Cyrusher FR100 is one of the most stand out models around. As soon as we finished unpackaging this gorgeous bicycle we were utterly astonished with how gorgeous it is, this is without a doubt the best looking folding mountain bike around. The FR100 looks like an absolute beast and it will genuinely stand out among all other bikes on the road, it looks (and feels) like a truly premium bike. 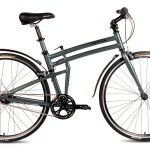 There aren’t too many premium folding mountain bikes around currently. Those that are, simply aren’t good enough in my eyes. They are typically made out of cheap components and while they are full-size bikes, they aren’t particularly great off-road – where a mountain bike truly belongs. However, this has all changed with the release of the Cyrusher FR100, this stunning model comes with 24 Shimano M310 ALTUS gear speeds to enable it to function exceptionally well both on and off-road. Possessing such a large number of speeds enables this bike to rapidly ascend hills and also traverse along flat ground well too. The bike comes with both front and rear dérailleurs that enable particularly quick shifting between gears, there was little resistance too which is always a big plus! 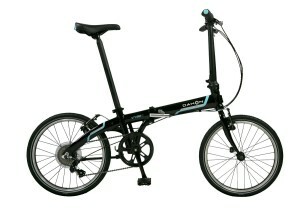 Not only that, the FR100 also boasts both front and rear suspension that far exceeds anything else I have seen on other full-size folding bikes. 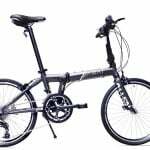 When we tested the bike off-road in a local park, we found that the suspension was almost on par with some of the more expensive normal mountain bikes we owned – quite the feat for a folding bike. The Cyrusher’s Aluminium frame also managed to withstand quite a beating itself and let out very few vibrations. 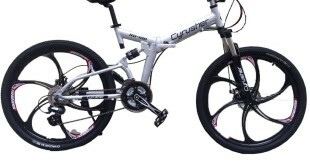 To further add to this bikes calibre, the Cyrusher comes with a highly impressive set of disc brakes. These heavy duty brakes function very well and as a result of the FR100 having a good set of grip-py tires, the bike comes to a halt very rapidly. As far as grip goes, the Cyrusher FR100 is once again absolutely top notch! At no point when I was riding the bike, both on and off road, did I ever feel like I was losing grip. The pair of Chaoyang 26″ tires are extremely impressive and they really do look the part too! One issue I found with this bike, which is characteristic of all folding mountain bikes and therefore by definition an unfair remark – was that the tires are slightly too big to be carrying around with you all day. The bike is also, understandably, quite heavy too. 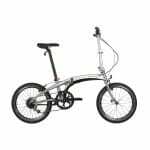 While it isn’t the most pleasant folding bike to be lugging around over large distances, it wasn’t as bad as some of the other folding mountain bikes that I have tested and so it is unfair to judge it too harshly just based on this alone. 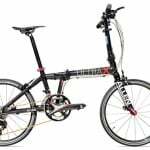 When it came to folding the bike away, I was unimpressed by the time it took – unfortunately I was set back by at least 22 seconds with the bike. This will undoubtedly be reduced with some practice, however it will never be quite as fast as a normal 20″ folding bike. 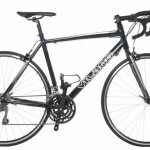 Overall I was very impressed with this bicycle, it comes in with a fairly large price tag, but I believe it is totally justified. 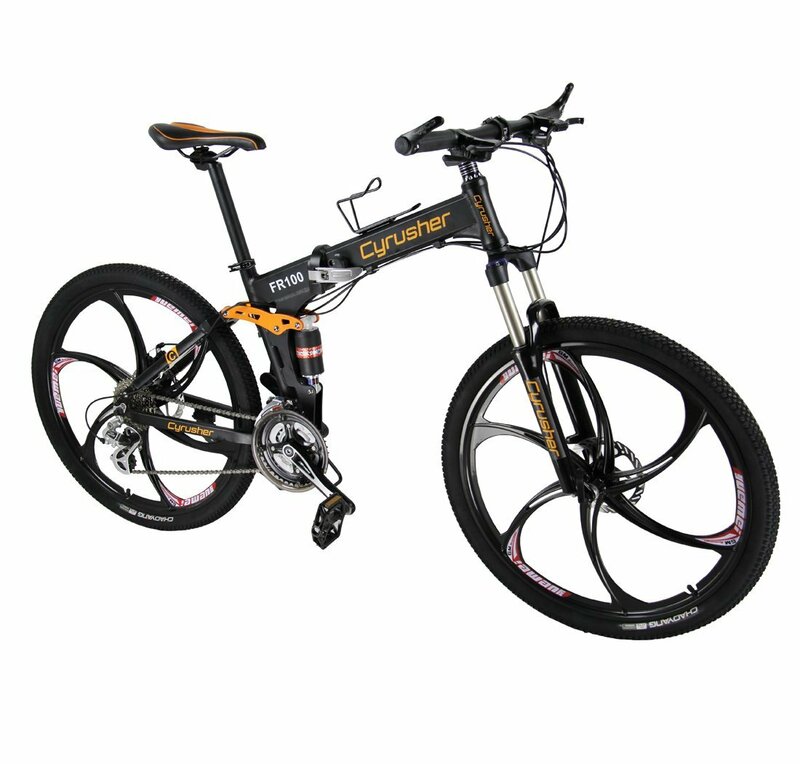 There are few folding mountain bikes that can compare with the Cyrusher FR100 and all of them will set you back a similar amount – if not more! On the more expensive side – I do believe it is justified however! Thanks for the useful review. 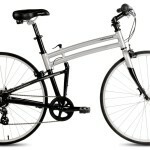 It would be even more useful with a photo of the bike when folded up. Thanks.